You are here: Home / Panel of Neutrals / Jeffrey T. Scuteri, Esq. EDUCATION: Suffolk University School of Law (J.D. 1980); Lawrence University (A.B. 1977). LEGAL EXPERIENCE: Jeff Scuteri has successfully defended and advised clients on a number of liability and insurance matters for nearly 30 years. With his experience as Essex County District Attorney’s Office Special Assistant DA, and as a former public defender for the Massachusetts Defenders Committee – Felony Trial Unit. Jeff is an exceptionally skilled negotiator and litigator. A well known advocate for the underserved, Jeff has also engaged in extensive pro bono work. Attorney Scuteri has also served as an arbitrator and mediator in many cases involving a wide range of matters, including all insurance claims, personal injury, product liability and general liability cases. 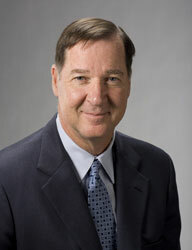 OTHER PROFESSIONAL EXPERIENCE AND ASSOCIATIONS: A dynamic member of the legal community, Jeff has served on the Essex County Bar Association’s Executive Committee, served as Legislative Liaison, and is also Conciliator to the Superior Court Trial Department; Panel Member, Massachusetts Dispute Resolution Services.